Welcome to the October issue of ELC Knowledge Sharing newsletter. This issue contains several excellent articles and research papers found from various online resources during October, including an article written by Dr. Kamal Kishore (previously with UNITAR) on how to Manage virtual teams in a Virtual University (Students? experience). We hope you find the articles we have selected useful, and if there is something you'd like to see in an upcoming issue, please let us know. Centers for Teaching, Learning, and Technology: What Fits Your Institution? Traffic congestion, parking problems, and rising transportation costs are forcing people to use electronic medium to communicate and stay in touch with each other. Decreasing costs, increasing speed and reliability of IT has enabled people to use this medium. Mergers and acquisitions across borders have emerged as a growing trend. The business is becoming global in scale and perspective. The developments have encompassed every business activity- education being no exception. 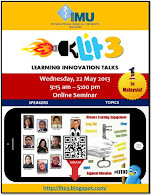 The advancement of information technology is already transforming the education industry in a large scale worldwide. 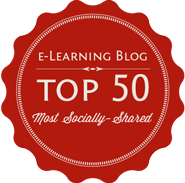 The opportunities for learning via the electronic environment are virtually limitless. E-learning transcends typical time and space barriers, allowing students to access learning opportunities day and night from various corners of the world? These various learning categories do not need to function in isolation? This paper summarizes some of the best ideas and practices gathered from successful online instructors and recent literature. Suggestions include good online class design, syllabus development, and online class facilitation offering hints for success for both new and experienced online instructors? Gaining Attention - Reception. Use abrupt stimulus change. Informing Learner of the Objective - Expectancy. Tell learners what they will be able to do after learning. 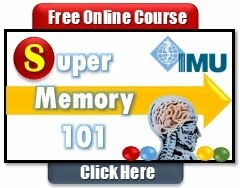 Stimulating Recall of Prior Learning - Retrieval to Working Memory. Ask for recall of previously learned knowledge or skills. Providing Learning Guidance - Semantic Encoding. Suggest a meaningful organization. Eliciting Performance - Responding. Ask learner to perform. Providing Feedback - Reinforcement. Give informative feedback. Assessing Performance - Retrieval and Reinforcement. Require additional learner performance with feedback. The practical steps that colleges/universities and influential academics can take to move institutions down the trail blazed by USC and others. Never go anywhere without a book. Keep a tape recorder in the car. Find a quiet place to study and be a little selfish with your time. Use post-it notes as bookmarks. Be an active reader (Take notes). The six (6) e-learning tools listed below are publicly available for academic use, within and outside the Univesity of British Columbia. Periodically Arts IS will release new tools to this site, so it is worth putting this site in your favorites . 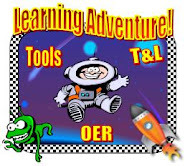 You are invited to explore these exciting new learning tools, and make free use of the learning objects they generate for educational or research purposes.